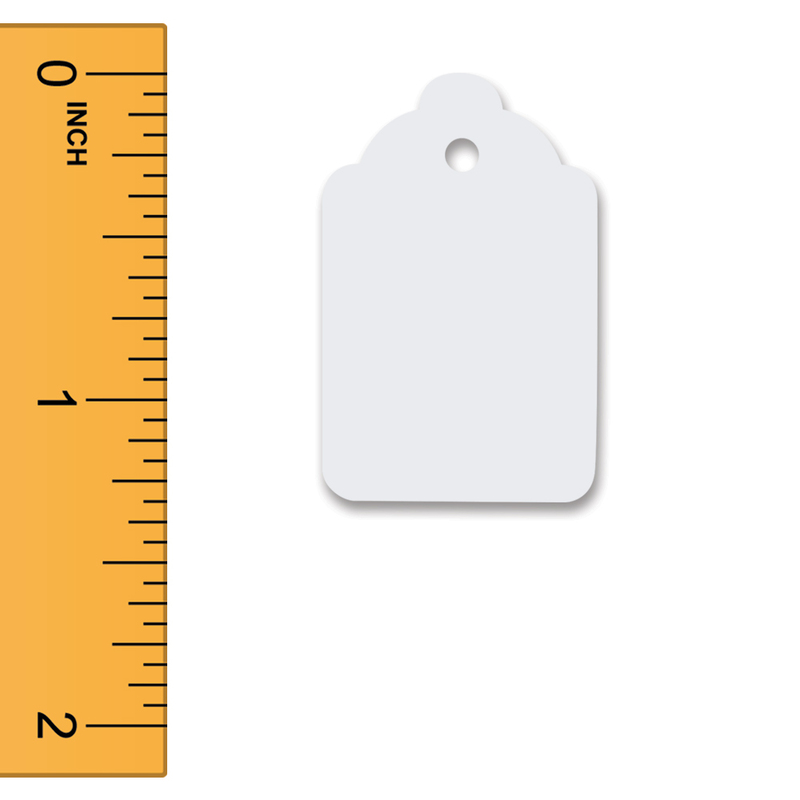 These Scalloped Unstrung White Merchandise Tags are ideal for use with a tagging gun. The tags are blank in a white card stock with a smooth finish so you can easily write on or use with a barcode labels. The UnStrung Merchandise Tags come in 5 sizes.